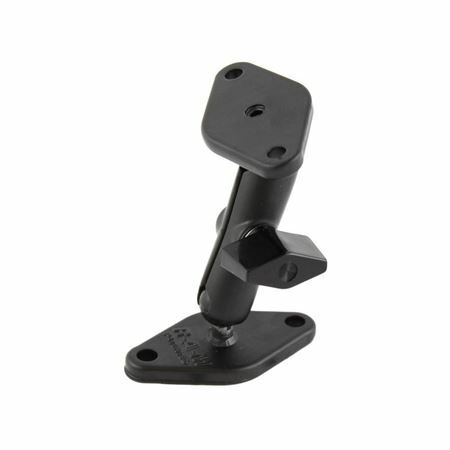 The RAM-A-101U RAM 0.5" Ball Mount w/ 2 Diamond Bases from the RAM GPS Mounts range comes with a double socket arm and a pair of diamond bases, making it the ideal GPS mount. Each diamond measure is 2.43” x 1.31”, each with a pair of holes that are 1.912” apart. This pattern is made to perfectly fit most RAM cradles and cradles from other brands. A 0.56” diameter adjustable rubber ball and socket system is included in the mount.